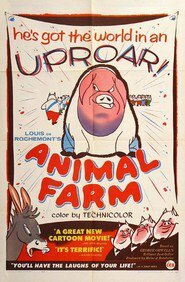 Overview... a renowned old boar, whose idealistic view of a free farm in which animals are autonomous is the spark for a revolution on the farm. Old Major is an inspiration, and considered something of a legend on the farm, because of his vision of a bright future and also his prize-winning popularity among the humans, which gives him a certain wisdom and ethos. Old Major's popularity ranking on CharacTour is #3105 out of 5,000+ characters. See our top-ranked characters and read their profiles.